You might get java.lang.OutOfMemory error in IBM HeapAnalyzer while processing heapdumps. Try increasing the JVM heap size and see whether it fixes your OutOfMemory issue before trying other options. 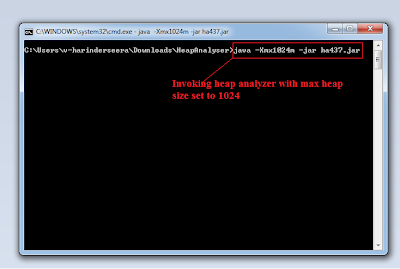 Following is how you invoke HeapAnalyzer with a heap size parameter in windows. Finally if your OutOfMemory Issue is fixed, you should able to see the heap dump analysis in HeapAnalyzer.